Do you suspect a poker cheater at a home game? Now you can purchase the Detector glasses to add some defense while playing poker at a house game or event. If you suspect somebody is a little to "lucky" and they seem to always fold at the right times and bet at the right times. Give the game a good sweep through by putting the glasses on for a second and looking at the deck of cards that are being dealt. 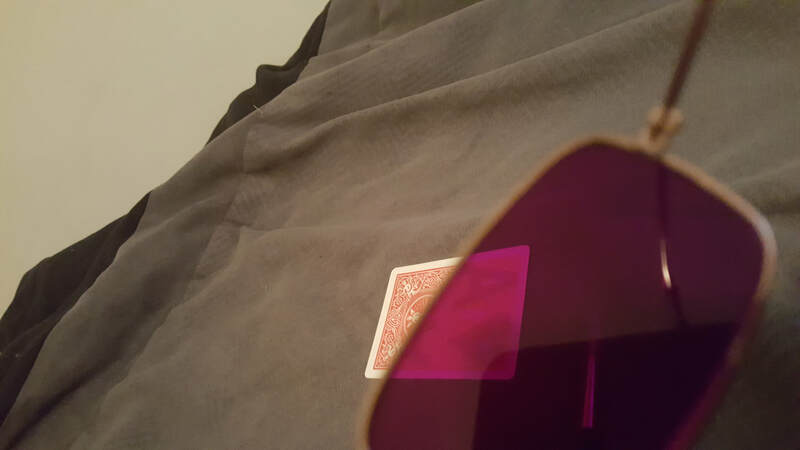 These detector glasses will expose UV and Infrared marked cards! We include a marked card so that you can see the proof of the detection. 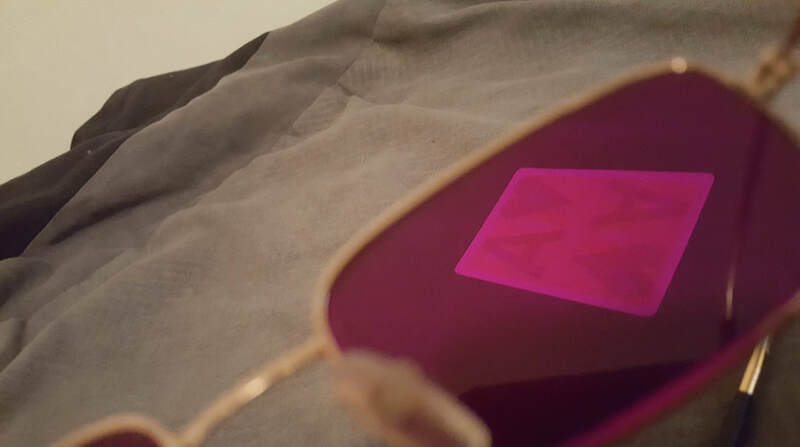 You will receive a pair of our detection glasses which is the best defense against poker cheaters playing with UV or Infrared marked cards. These glasses will detect any of the latest markings! The purchase includes 1 marked card for proof of detection. Bust the poker cheater! Free shipping on all orders.